When they took the headphone jack away, we all griped about it and kept buying phones. 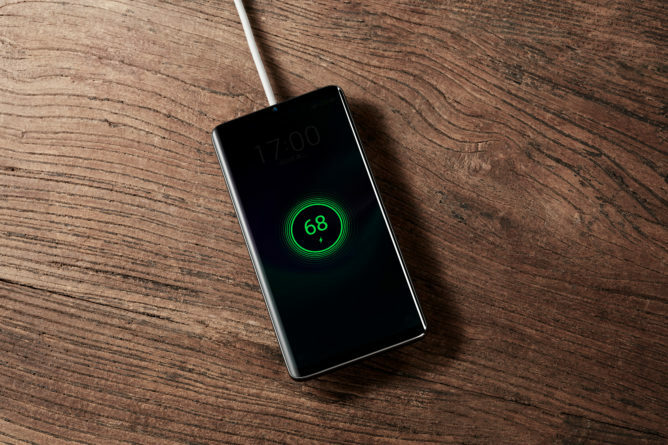 Now, Meizu has offered up a vision of the dystopian future we've brought upon ourselves. The Meizu Zero is a smartphone with no ports or buttons whatsoever. If you need to reset the phone, you better hope you've got a SIM ejector handy. Oh, you can't use that to eject a SIM card, though, because this phone doesn't have a SIM slot. The Meizu Zero seems more like a conceptual fever dream rather than a real smartphone, but Meizu swears it's real. The phone will pack a Snapdragon 845 and a 5.99-inch OLED panel (with integrated fingerprint sensor). The ceramic chassis will be unblemished by ports or buttons, but there will be a "virtual side button" for volume and power. The only disruption in the surface is on the back where the dual cameras and flash hang out. Although, we don't know anything about the camera setup yet. Since there's no USB port, Meizu is relying on wireless USB connectivity. It says the phone will be able to transfer data at speeds similar to USB 3.0. As for charging, you'll get 18W wireless "Super mCharge Wireless." There isn't even a SIM card slot to interrupt the phone's lines—it uses an embedded eSIM instead. The only holes on the phone are the microphone and a tiny reset button you can access with a SIM ejector. So, even the hole-free phone has some holes. I don't think I'm going out on a limb to say the Meizu Zero seems like a silly phone. It's a non-starter for most people, and I wouldn't be surprised to find out it's all smoke and mirrors. Still, we were asking for it, apparently. Meizu announces the Meizu zero, the world's first holeless phone. Pushing the boundaries of future flagship smartphones. 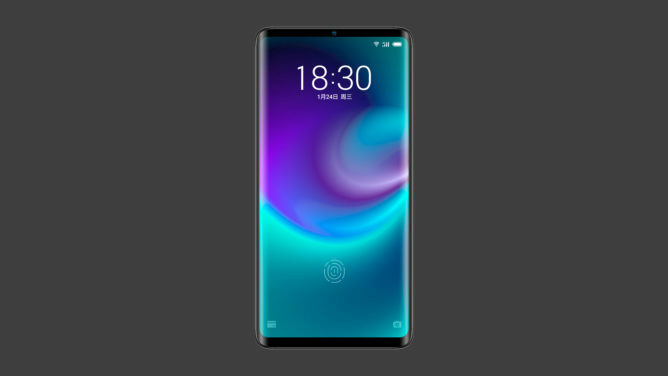 Zhuhai, 23rd January 2019 -- Meizu Technology Co., Ltd (Meizu) has officially introduced the Meizu zero, the world’s first holeless mobile phone. Building on the foundation of Meizu’s core R&D efforts over the last 15 years, zero harmonizes art and technology which sets new performance levels for Chinese smartphones. In the upcoming 5G and IoT era, Meizu launches the world’s first holeless mobile phone, a true holeless design combined with superb craftsmanship, embracing the new norm of future Smartphones. the Meizu zero offers an unprecedented design acts as a vision for future flagship smartphones. Cutting-edge design is inherited in the DNA of Meizu’s corporate culture. Through the combination of innovation and superlative craftsmanship, the Meizu zero not only creates a new benchmark for flagship Smartphone, but also bringing the revolutionary technology from future to the present. The ceramic 3D unibody finish gives Meizu zero not only unrivaled standards of technical perfection but resembles the flawless beauty of a natural gemstone. Meizu zero comes with the stunning 5.99-inch AMOLED display with ultra-high resolution to deliver incredibly vivid colors. The under-glass fingerprint sensor is capable of scanning fingerprints through its 2.5D glass panel, offering the ultimate convenience and absolutely stunning quality. Striving for perfect design and the “less is more” minimalist style, Meizu zero comes with a true holeless design, striving for the highest possible degree of minimalism. Thanks to the efforts our Technicians, Meizu zero features mSound 2.0 In-screen Sound Technology which allows the display to function like a speaker, by eliminating the earpiece notch, it brings in a true holeless screen. With optimized internal structure, premium audio materials, Meizu zero delivers outstanding sound quality and unmatched loudness level. Meizu features patent’s Super mCharge Wireless that employs intelligent internal chips; it offers a wireless charge at 18W and is able to significantly reduce the heat generation. The Meizu zero comes with a dedicated charging base, which makes your desk a user-friendly environment without having messy cables. Attributed to the high speed of wireless USB 3.0. Meizu zero offers unrivalled transmission speed; with the high-efficient architecture design for wireless transmission, it allows you to transfer HD movie between devices at an incredible speed, pushing data transmission speed top the utmost.